Human connection is the foundation for peace," said Saad Haq during an iftar in Charlotte, North Carolina. "If we have the opposite - disconnection, it will lead to division, and even worse, conflict.... To me, nothing on this earth is more powerful than the human connection." Haq is the founder of the Being There Cooperation Circle, and was a co-organizer of the interfaith iftar in Charlotte. Being There is one of at least seven Cooperation Circles across the United States and Canada who hosted or co-hosted interfaith iftars throughout the month of fasting, which ran from June 17 to July 17. 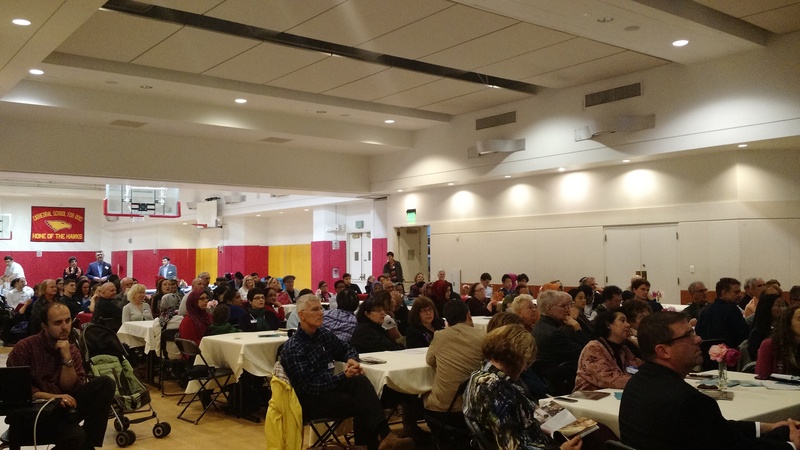 The San Francisco Interfaith Council and Interfaith Center at the Presidio Cooperation Circles co-sponsored an iftar at Grace Cathedral on July 9 with the Pacifica Institute. Across the country in San Francisco, California the Interfaith Center at the Presidio and the San Francisco Interfaith Council Cooperation Circles co-sponsored an iftar hosted by the Pacifica Institute San Francisco. The event, which was hosted at Grace Cathedral, drew double the number of attendees they had expected and included a mean, an educational vidoe about Ramadan, performances by Jewish musicians,and a short talk by Dr. Özgür Koca, Assistant Professor of Muslim Studies at Claremont School of Theology, discussing the intersection of Ramadan and hospitality. Nearby in Silicon Valley, the Silicon Valley Interreligious Council Cooperation Circle partnered the Silicon Valley Branch of the Pacific Institute, one of its members, for a series of four iftars. 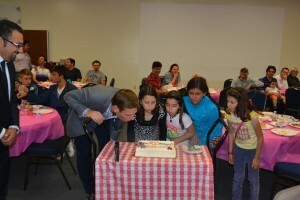 Congressman Eric Swalwell joined the July 5 gathering and told the group that he spent the day fasting to better appreciate how Muslims feel during Ramadan. Congressman Mike Honda joined for the June 27 event and community leaders from the area were invited to all four celebrations. In Mill Valley, California, the Marin Interfaith Council Cooperation Circle participated in an Ramadan Open House at the Mill Valley Masjid, where youth shared about their experiences with fasting. The Interfaith Council of Southern Nevada Cooperation Circle partnered with the Islamic Society of Nevada to host an iftar on July 12. In Syracuse, New York the Interfaith Works Cooperation Circle joined with the Turkish Cultural Center of Syracuse and North East Islamic Community Center for an iftar that included a short presentation on Islam and Ramadan. Guests who chose to fast that day were given fasting guidelines and encouraged to donate one day’s worth of food cost for Haiti Orphans Campaign by Embrace Relief. The Interfaith Community Sanctuary Cooperation Circle will celebrate Ramadan during their 13th Annual InterSpiritual Community Summit on the weekend of July 17. The community summit coincides with the end of Ramdan and, on Friday night they will host an Eid Festival, following a celebration of the Jewish Shabbat. Read Ramadan and Eid Mubarak Blessings and Wishes from the URI community.